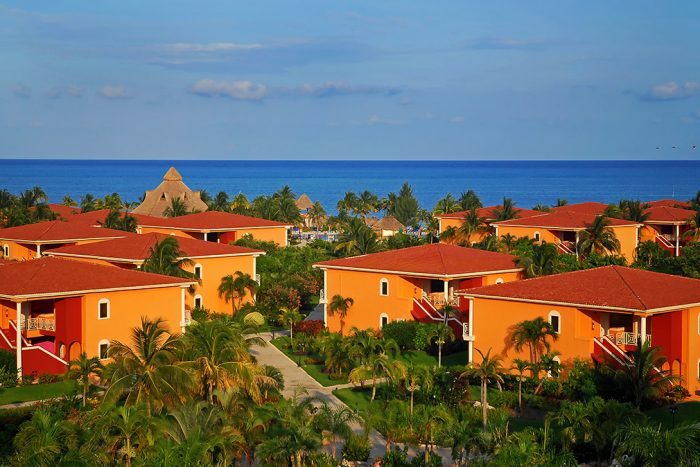 This beachfront resort is located in the heart of the Mexican Caribbean and surrounded by the rich lands of natural parks that are full of vibrant flowers and plants. 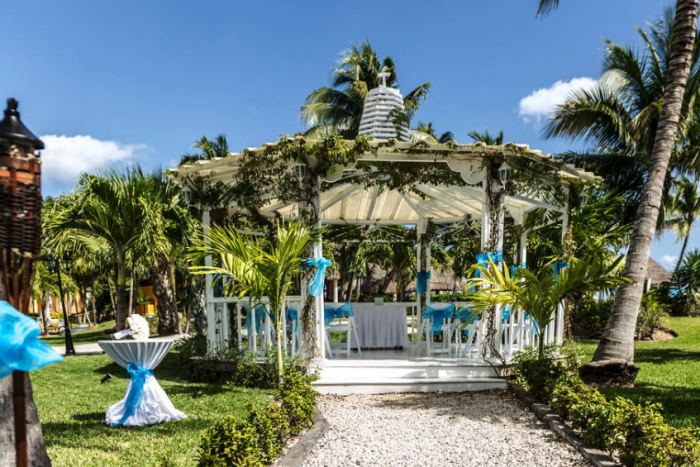 Standing on the Yucatan Peninsula, the long stretch of white, sandy beaches, along with the laid-back atmosphere, provides the opportunity for a tranquil and alluring wedding ceremony. 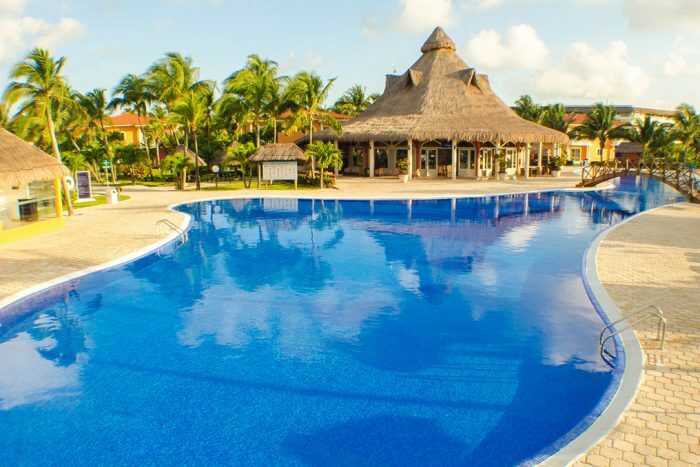 Ocean Maya Royale is an adults-only resort for those who are 18 and older! The natural parks up against the crystal clear waters provide breathtaking views of the Caribbean and makes for a gorgeous wedding ceremony. 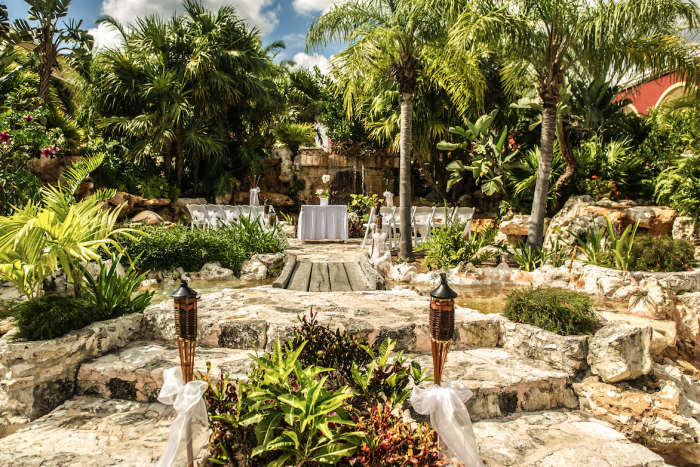 This resort features a unique garden wedding venue that is located above a fountain and surrounded by beautiful rock structures and exotic plants. Most of the beach does not offer direct access to the water because there is a boardwalk that runs parallel to the resort and blocks the entrance, so you must walk around the ends to gain access to the ocean water. Ballroom – 200 guests max, Beach – 200 guests max, Pool Area – 120 guests max, Gazebo – 60 guests max. The resort will host no more than 4 weddings a day, Monday thru Sunday. Ceremonies will have at least a 2-hour block between. Rooms range from $130 – 190 per person per night. There is free wifi throughout the hotel, including all rooms, free parking depending upon availability, and a fully-stocked minibar in every room. Certain rooms are handicap accessible as well, upon request. There are 320 total guest rooms with garden or ocean views available. The buildings are only 2 stories high, with some directly on the beachfront, while others are surrounded by rich gardens and natural parks in the area. Rooms allow up to 3 adults max. The Privilege Honeymoon Maya Deluxe room and Honeymoon Jr. Suite are both honeymoon-inspired rooms, with a private terrace and jacuzzi included. Ocean Maya Royale is about 35 miles from the CUN Airport and 20 minutes from Playa del Carmen and downtown Cancun. Ocean Maya Royale is 35 miles from the CUN Airport and 20 minutes from Playa del Carmen and downtown Cancun. 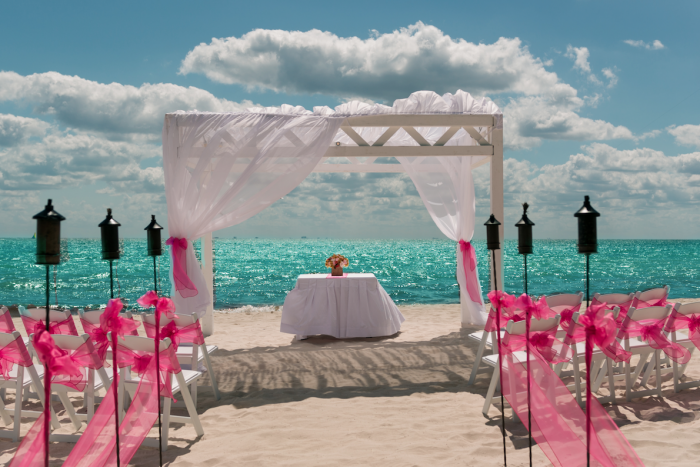 Q: What makes Ocean Maya Royale a great place for a destination wedding? A: We have great services and locations, making you feel as if you have a second home. A: Having the opportunity to meet new couples, and get to know their different backgrounds. A: Being able to get married overlooking the ocean, and that we were able to make their ideal wedding come true, and go beyond their expectations.